Lawrence Ford, writer, speaker, motivator and global master of personal transformation, CEO of Conscious Capital Wealth Management and the Founder of Live Whole™. 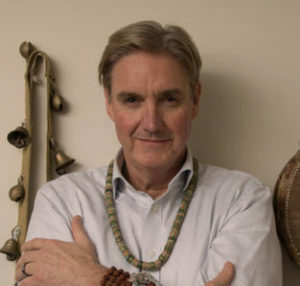 He was dubbed the “Shaman of Wall Street” by the Washington Post and The Economist magazine referred to Lawrence as a “Man of Two Worlds.” NPR named him “The Finance Guru” and the Retirement Income Journal dubbed him as “The Spiritual Advisor.” His work has touched the lives of some very externally powerful and famous people, as well as the homeless and distraught. Additionally, he works with a variety of thought and action leaders around the world. This has included working with the United Nations and its Sustainable Development Goals (SDGs), consulting with Dr. Harry Markowitz (Nobel Prize winner in economics), and serving as a 2017 Nobel Peace Prize Forum Representative for private commerce. He has dedicated much of his life to bridging the modern world of business and the ancient world of wisdom. He is passionate about helping people and organizations move into their authentic power as they “wake up.” Lawrence’s philosophy is “live a life of passion and purpose” and that each of us are “Here for a Reason.” His work with the United Nations and it’s Sustainable Development Goals embodies his mission to align business with spirituality, finance and consciousness, and ego with soul.